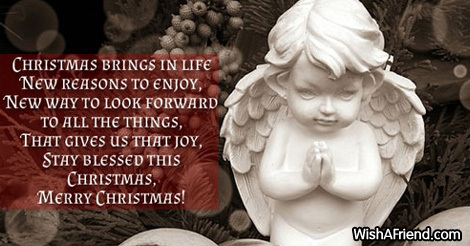 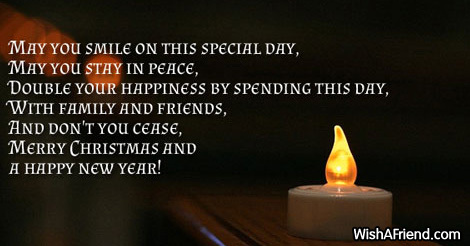 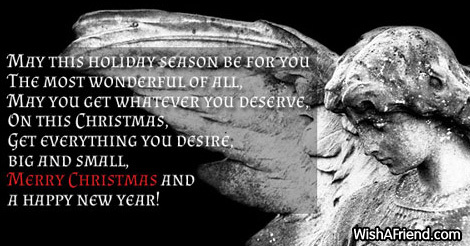 Find and share Christmas Wishes with your beloved. 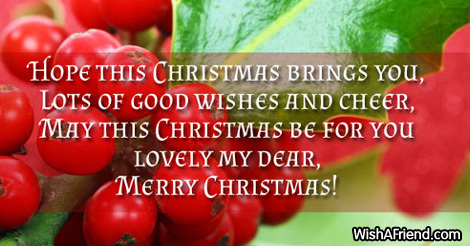 You can share/send them to your loved ones via Text/SMS, Email, Facebook, Whatsapp, IM or other social networking sites. 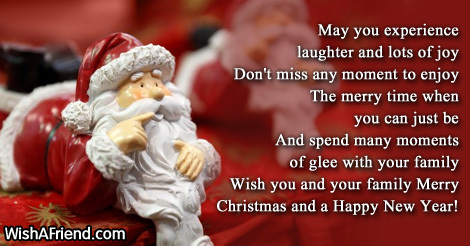 May you experience laughter and lots of joy Don't miss any moment to enjoy The merry time when you can just be And spend many moments of glee with your family Wish you and your family Merry Christmas and a Happy New Year! 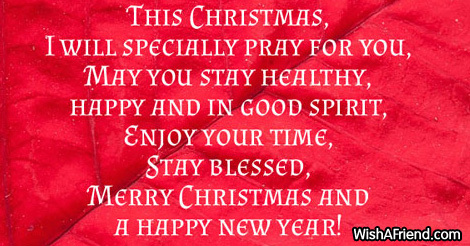 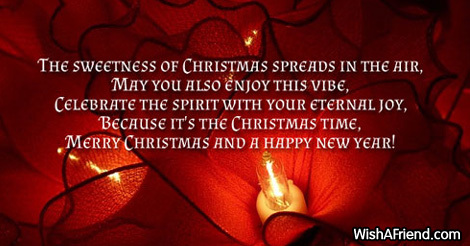 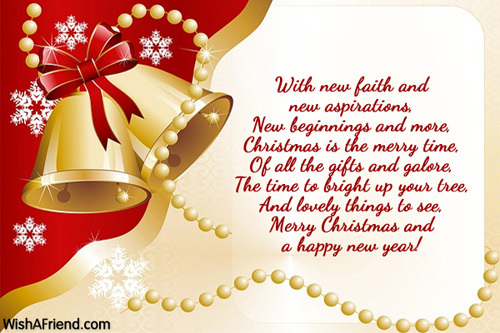 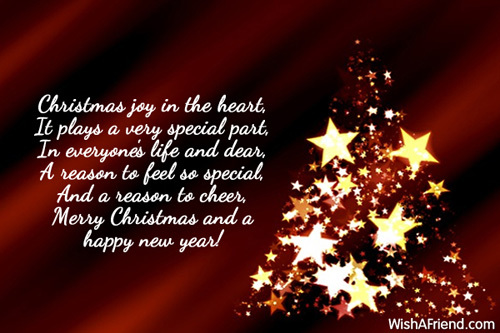 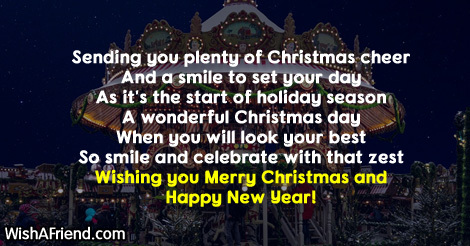 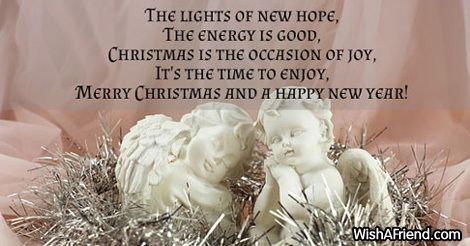 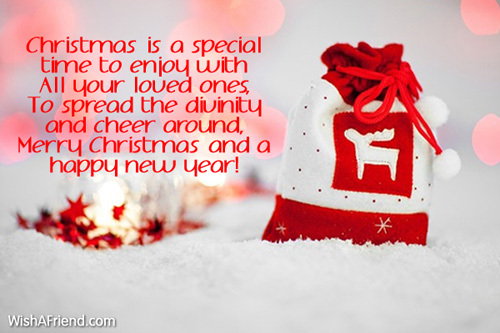 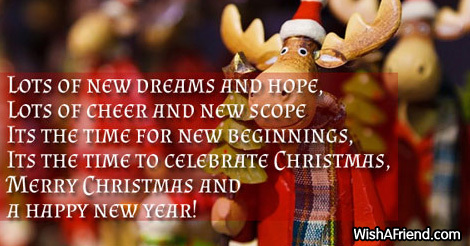 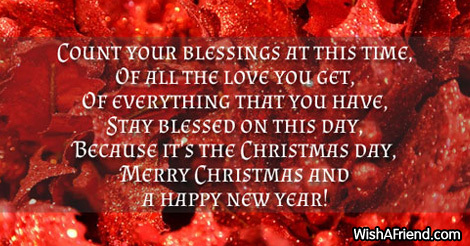 Sending you plenty of Christmas cheer And a smile to set your day As it's the start of holiday season A wonderful Christmas day When you will look your best So smile and celebrate with that zest Wishing you Merry Christmas and Happy New Year! 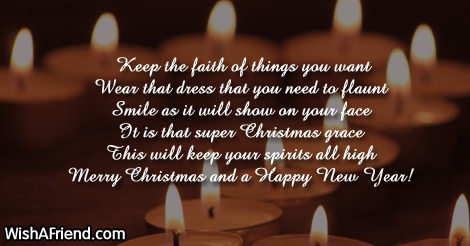 Keep the faith of things you want Wear that dress that you need to flaunt Smile as it will show on your face It is that super Christmas grace This will keep your spirits all high Merry Christmas and a Happy New Year! 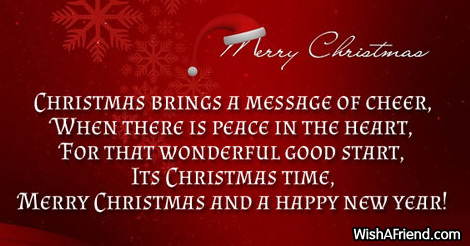 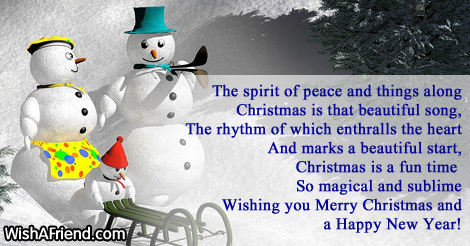 The spirit of peace and things along Christmas is that beautiful song, The rhythm of which enthralls the heart And marks a beautiful start, Christmas is a fun time So magical and sublime Wishing you Merry Christmas and a Happy New Year! 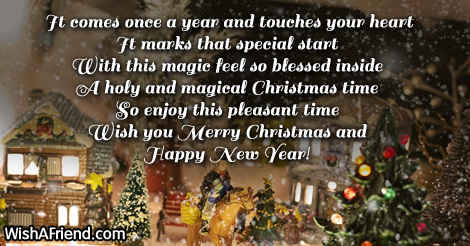 It comes once a year and touches your heart It marks that special start With this magic feel so blessed inside A holy and magical Christmas time So enjoy this pleasant time Wish you Merry Christmas and Happy New Year!